Did everyone have a great New Year’s eve? I sure did. We rang in the new year with a home smorgasbord, champagne and schanpps, and games, and had a quiet day after. I don’t make formal resolutions, but I accomplished two of my goals last year: got back into the “good” jeans waiting on the hanger (and beyond – I need a size smaller) and established a consistent exercise routine I don’t hate. I also made my publishing debut, refinanced my house, and used less sick time than any of the four years previous. What a year! Here’s to staying healthy and becoming even more fit. What’s coming up next for the written word: I’m working on edits to Appetite with my editor, and we don’t have a publish date set, yet. I think we’ll have a better idea once we’ve completed the first round of edits. 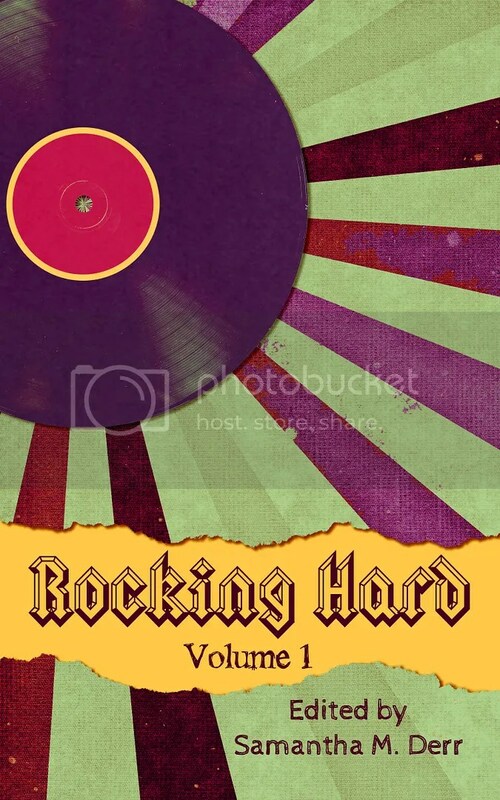 Part of the Rocking Hard anthology, Courage Wolf Never Sings the Gorram Blues is scheduled to hit the Less Than Three serial fiction page in May. The LT3 serials are stories that run bi-monthly on their site, followed by an e-book and sometimes anthology publication, depending on the story. Courage Wolf Never Sings the Gorram Blues is, as you can see, part of the Rocking Hard anthology, vol. 1, and I’m super excited to share it. If you’re not signed up for Less Than Three serials, I highly recommend it. It’s easy and quite cost-effective to sign up and you get a lot of stories for your money! They’ve got some great ones running right now, including Beast by Jamie Sullivan and Battle of Will by Sasha Miller. Beyond that, I’m working on edits for my vampire novel, The More Plausible Evil, which I’ll be submitting once I’m satisfied with it. My pre-reader really enjoyed it, and I feel like I accomplished what I set out to do with that story. I’ve been reading the draft on my brand new Kindle Fire, which is great. It feels like I’m reading a novel, yet I can make little editorial notes with the highlight feature. As for writing, there are two works in progress I want to finish this year – The Fall Guide, a story that I started last May, and Resonance Thrums, the young adult novel I began in November. It doesn’t seem like a lot, but between edits for this and that, I need to figure out how to make time for writing in my schedule! I’m not sure what I’ll write after those two, but I’ve been pining to get back to some fantasy. Lastly, don’t forget to sign up for my Signal to Noise giveaway. Remember, you have to leave a comment on the post with your name and email as well as any follows that get you additional giveaway entries. Woohoo! I’m excited for this!!! Thank you, Rose, I’m excited too!